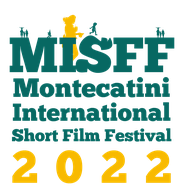 The MISFF, Montecatini International Short Film Festival, is 70 years old! We are the custodians of a long history, born in Montecatini Terme in 1949, we have allowed many creative, dreamers, visionaries, to express themselves, to show their works and become famous in the world. In order to continue, we need the collaboration and support that will be extended beyond the dura-tion of the Festival. We will act through a self-financing campaign to which all those who will rec-ognize themselves in this Community and its motivations can participate. We want to celebrate this extraordinary goal by implementing the usual activities of the Festival with the creation of a platform, a community of creative individuals who love Cinema and are will-ing to support it. The Festival becomes the home of all those who want to present and distribute their films, their own original work. MISFF LAB, is the new official platform of the Festival, which will presents the authors, the cast, the films to Italian and European festivals that our team of experts consider most suitable; our press and communication office works for you all year round, promoting and facilitating the dissemina-tion of the film and the authors, building a positive reputation and a widespread knowledge among other filmmakers, and distribution companies too. Our network of contacts has been built over 70 years and we believe this database has its strategic value, as well as the participation in the Official Selection of the MISFF 70th and other extraordinary activities scheduled for 2019 and 2020. The MISFF IRS International Road Show foresees the presence of the Festival and of the selected authors in other twin festivals, Film Houses, Cultural Institutions, Foundations, and other Institu-tions. We expect an exceptional two-year period to celebrate with all the friends who have been close to the Festival from 1949 to 2019, and with all those who will be able to respond to our call to meet the future, together.